Hello! I just recently bought a five year old thoroughbred gelding in june. He was in rough, rough shape. Bad case of rainrot, and a bag of bones. I have put about 50lbs on him. His teeth were done in june, he was dewormed in june, and a vet had checked him before, also in june. I just recently slowly started switching his grain over to Legend Equine Senior Feed and Beet Pulp. He gets fed 2x a day. 4 flakes of hay in the morning, and turnout in the evening until the morning at 8 a.m.
Good for you for seeing the potential in this young horse and for spending the time and effort to find out how to bring out his best. For safe weight gain, we want to feed to his "ideal" weight - which, for an adult Thoroughbred we expect to be between 1000 and 1200 pounds. The foundation of his ration should be forage - hay, pasture, beet pulp, hay pellets - at least 1.5 to 2.5% of his ideal body weight, using the upper range for weight gain. If he should weigh 1100 pounds, then he should be getting a minimum of 22 to 28 lbs of forage. Because we can only estimate how much he consumes when he is turned out in pasture at night, at least half to two thirds of that (11 to 18 or more pounds) should be hay, spread out over the day. If he comes in from pasture seeming really hungry in the morning, he should be getting more hay. If the hay and pasture are good quality, they will provide most of the protein, energy (calories) and major minerals that he needs. If a portion of it is alfalfa, which has high protein and calcium levels, he might not even need supplemental "feeds" unless he is working. If this is the case, then all that is needed to be added would be a quality supplement that supplies generous levels of trace minerals and plain salt - 2 to 3 ounces/day. You should be weighing all his feed - nutrition requirements are based on weight and volume measurements (quarts, cans, etc.) are not accurate. The weight of a "flake" or "leaf" of hay can vary considerably depending on the size of the bale and how tightly it was packed. With different varieties of hay in my barn right now, I have some "flakes" weighing as little as 4 pounds and some weighing as much as 9 pounds. 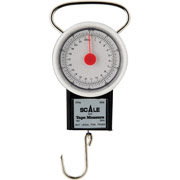 One of the best (and least expensive) investments you can make is a "fish scale", available in sporting goods departments of stores such as Walmart and Target for under $10.00. This can be used to weigh hay - in hay nets or in a muck bucket - and to accurately weigh concentrate feeds and grain. If at all possible, spreading his hay feedings over more than just the morning meal will also help your horse gain and maintain his weight. Using small mesh hay nets can help smooth out his hay intake and help avoid any lengthy periods when he is without forage in his stomach. We tend to think of using these to help lose weight but they work as well when your horse needs to gain. Supplemental concentrates and grain are generally used to take up the slack if forage and pasture don't meet all the horse's requirements for calories and protein. I tend to be a fan of using "straights" - grain such as oats or barley plus a quality supplement - instead of premixed feed concentrates. This lets you keep the vitamin and mineral supplementation separate from energy and protein supplementation. Vitamin and mineral requirements tend to remain fairly stable while energy and protein needs can vary more depending on work level and other factors (age, pregnancy, etc.). But pre-mixed concentrates can contribute quality protein and energy sources. They tend to target basic calorie, protein and mineral requirements for a specific class of horse (senior, growth, performance, pasture ornament, etc.) and the main differences are in the amount of processing and level and type of carbohydrates. Senior horses often can't chew well and produce less saliva so can benefit form more highly processed feeds - this helps make up for their poorer digestion. Senior feeds are often designated as "complete" feeds and need to be fed at high levels if you're counting on them to supply vitamins and minerals. Pre-mixed concentrate feeds need to be fed at levels specified by the manufacturer to provide the vitamins and minerals needed by your horse. If fed at lower amounts, his ration could become deficient in essential nutrients. One way I compare feeds is to see how much needs to be fed to supplement a desirable level of copper - 125 mg per day for your 1100 pound horse.. It would take about 7 pounds of the Legend Senior (pelleted) to provide the daily requirement for copper. Legends Grow & Perform would require about 5 and a half pounds. You would only need 4.6 pounds of the Mare & Foal pelleted feed to meet the copper requirement. Concentrates should be spread over two or three meals when possible. To really optimize his ration, having hay analyzed and supplementing based on the hay test results provides the best, and usually the most cost effective way to form a feeding plan. This can be done together with using a concentrate feed as most feeds are "balanced to themselves". When using both a supplement and a fortified feed, you need to watch that the total levels of selenium, vitamin A and vitamin D aren't too high. This isn't a problem when using "straights" to boost calories and protein. Finally, although "high fat" has been the latest fad, fermentable fiber (hay, beet pulp) still remains the best way to provide calories for weight gain. But when you do add fat, make sure it's not just empty calories - make it count nutritionally. Stabilized rice bran and stabilized or fresh ground flax can add fat calories plus provide essential fatty acids (Omega 6 and Omega 3) and boost protein. Rice bran is high in Omega 6, so make sure you provide an equal or larger amount (by weight) of flax, which is high in Omega 3.